Apple is hands down the best at fostering brand loyalty. Don’t you want to be Apple? In life, there are clear winners in every category. Muhammad Ali was the Greatest, the best boxer of his time. Donald Trump has been a winner of many things… real estate, media attention, and lately, elections. In consumer branding, there’s one clear winner, too, and it’s Apple. No other company has inspired such devotion to its products and such reverence of its founder as Apple. Steve Jobs is now the demi-god of how to brand a company and considered by many to be the founder of User Experience (UX). The company has parlayed its brand loyalty into such extremes that consumers are willing to pay more for their products than those of competing brands… way more. And a key component of that brand loyalty lies in the incredible, unmatched attention Apple pays to user experience. UX is the blend of factors that put Apple at the top of the barrel, and it extends beyond product design and into the reaches of website design as well. Consumers expect nothing but the absolute best in both from Apple, as it’s part of their overall branding strategy derived from the dogma of Steve Jobs. In short, design is Apple’s religion, and it’s a religion that’s won them millions of devote followers. Now it’s time for you to form your own cult of followers, using UX as part of your strategy for carving out your own piece of market share in your field. In a rare market research report conducted by Apple in 2011 and reported by the Wall Street Journal, the biggest reason most consumers chose iPhones over Android devices was that they “trusted the brand”. And a case for UX: just over two-thirds of Chinese consumers chose Apple’s phone because they liked the design and physical appearance. The way the device felt in users’ hands also ranked very high in importance. And, among a group known for obsessive focus on the particulars of design – young Japanese women – Apple also scored high. A 2009 survey conducted in Japan asked women 20-26 years old about good design among products they owned or wanted to own. Apple was number one in several categories, and in brand image they were second only to local favorite Sony. 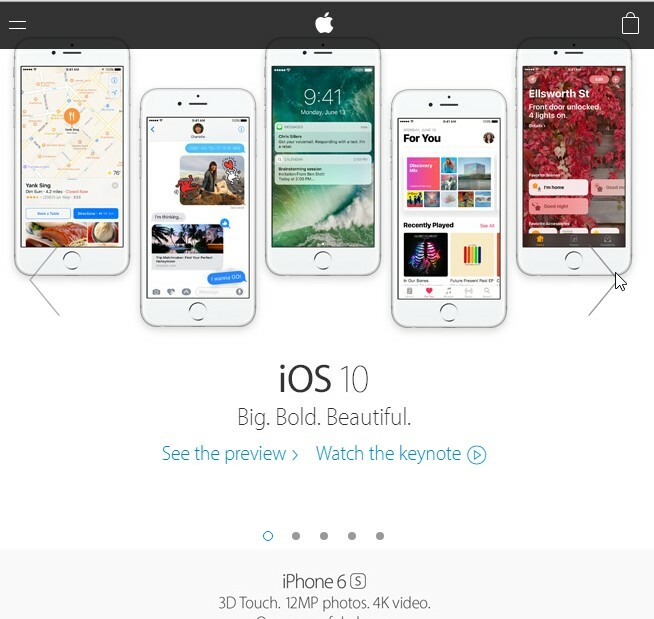 The design aesthetics of Apple Inc. carry over into their website design, too, which features a sleek look with large areas of white space and and easy focus on specific areas of content. It’s minimal, effective, easy to navigate, and clean, just like their products. And of course they’re continuously honing their look across all their branded websites, striving for higher standards of UX every way they can. What Do Steve Jobs & Apple Have to do With Your Site? 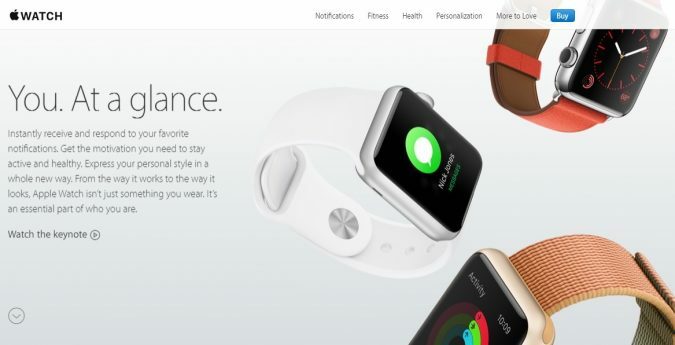 Your Ecommerce store should aspire to be more like Apple’s, which means incorporating UX into everything you do online. That includes your strategies for design, marketing, and conversion rate optimization. You may not be selling Macs and your products may not be as pretty or as hip as Apple’s, but you can learn from them how to use UX to increase sales. Steve Jobs considered UX in everything he did, from product design to Apple.com to the Apple retail stores found in major cities. 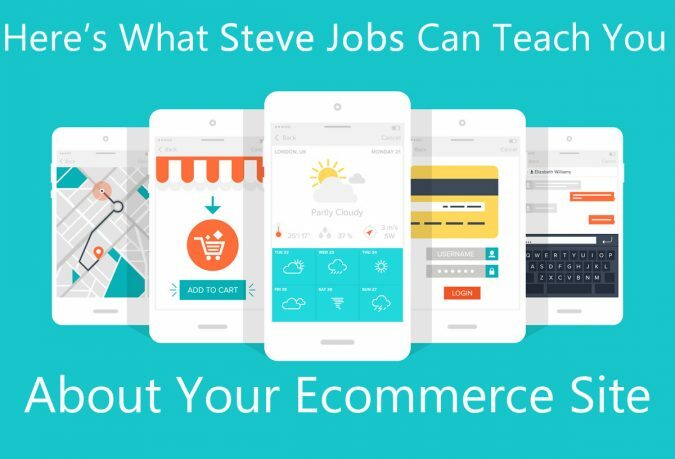 Why should you aspire to be like Steve Jobs so your Ecommerce site can be more like Apple’s? Because UX is what the internet is all about now and from now on. No longer are online shoppers willing to put up with ugly, clunky, confusing Ecommerce websites that offer a bad user experience. Adobe conducted a survey last year and one of the key findings was that almost three quarters of consumers say that content that displays well on their device is a non-negotiable. In other words, look good or you’re toast. The survey also revealed that two-thirds of users prefer beautifully designed websites over simple and plain site, given 15 minutes to consume content. But looking good isn’t the only standard by which your website will be measured. Content that takes too long to load will turn away 44 percent of your visitors, who will switch devices… 39 percent will simply stop engaging, according to Adobe’s survey. Increasingly, the entertainment value is important for website visitors, especially Millennials, according to Adobe. 35% of Millennials report that entertainment value is more important than accuracy on the sites they visit! Design and display issues figure heavily in whether visitors engage with your content- the Adobe survey and countless others support this notion. Compare this to choosing a grocery store whose manager always makes sure checkout lines never get too long. All other things being equal, who would choose to shop at his competitor, where lines are always horribly long? It’s the same with Ecommerce. Online shopping has grown such that there are hundreds of players in every industry… shoes, hardware items, vacations, electronics, and everything else we buy online. Consumers have so many choices now, that decisions are often made according to how well their user experience turned out to be. Even Apple still puts considerable effort into making its products even more user friendly, improving the UX with each system update. Not convinced about the importance good UX? A report from the Society of Digital Agencies (SoDA) reveals that more than three-quarters of agencies surveyed believe that poor user experience is a weakness of their clients’ websites. And there are countless studies showing that a majority of users will leave a website and find another site to do business with, if content is not optimized for good UX. Is that what you want for your Ecommerce site? Take cues from Steve Jobs and Apple and get to know about UX and your conversions will shoot way up. Owner of Ivy League Content, Cat is a writer specializing in writing fantastic content for people who want their websites to be their best. Other interests besides being smart include cardio kickboxing and free diving. Yes, The world loves apple design, If they still improve on UX then i must tell that they will take at best in ecommerce sites. World loves Steve Jobs creativity. We can also see this in iPhone. We can also implement this idea for eCommerce website.